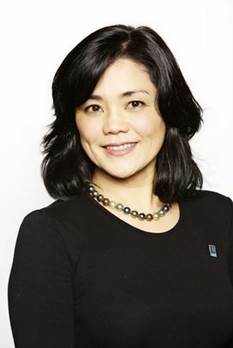 Mamiko Reeves serves as the Assistant Vice President and Dean of International Programs at Northwood University, a not-for-profit private business university in Midland, Michigan. Her responsibilities include oversight of International Program Centers (IPC), Study Abroad/Exchange programs, SEVIS compliance, campus internationalization, International admission, Intensive English Program and international student support. She serves as a board member and a liaison, conducting site visits and audits, at IPCs in China, Sri Lanka, Malaysia, and Switzerland (student enrollment at 1350). She works with 25 additional partner universities around the globe and develops international business and partnership. Mamiko has a passion for global education and providing cross-cultural opportunities for students, faculty and staff. She established and led an award-winning, collaborative study abroad program to China and India with the Young Presidents’ Organization-World Presidents’ Organization over the last 7 years. She also launched an international job shadow event in collaboration with the Midland Area Community Foundation and Midland Chamber of Commerce. Mamiko was elected and appointed as a board member for Michigan American Council of Education (MI-ACE), and she also serves as a committee member of Sister City student exchange for city of Midland. Mamiko started her career with IR Japan, an Investor Relations company, as an account executive, and served as an international marketing and sales representative at Sony Corporation in Tokyo. She served in Tokyo as a translator and facilitator for civil servant delegations from Malaysia, Indonesia, Singapore, Brunei and Palau. She also worked as a volunteer for the Tokyo English Life Line taking crisis calls. After moving to the USA, she worked as a consultant to Dow Chemical and Dow Corning Corporation providing cross-cultural training and destination services for their managers, expats and new hires. In higher education, she has taught Japanese language and culture as an adjunct faculty at Saginaw Valley State University and career development courses at Central Michigan University. She also contributed to a program on Japan for educators and administrators at Yale University. Mamiko served in multiple roles with Youth for Understanding across the last 28 years. She started as an exchange student from Japan to USA, and then was a host sister, an area representative, a host mother, a natural mother, a trainer for trainers, a site director for Japan Pre Departure Orientations, and a Japanese liaison working globally for YFU on critical cases. In 2003-04, Mamiko lived in Tokyo and assisted with YFU Japan’s volunteer trainings, arrival/pre-departure trainings and support services. Mamiko was born in Nagoya, Japan. She earned a B.A. in Communications at Nanzan University (Nagoya), and a M. A. from Central Michigan University in Counseling and Ed.D from Northeastern University in Organizational Leadership. Mamiko is a former marathon runner, triathlete and spinning instructor.